Jonathan Martin’s research focuses on controls of water chemistry caused by interactions between surface water and groundwater. Martin’s work includes both terrestrial and marine systems and is multi-disciplinary in scope. Although much of his work takes place in Florida environments, he also works internationally, and his results have global implications. 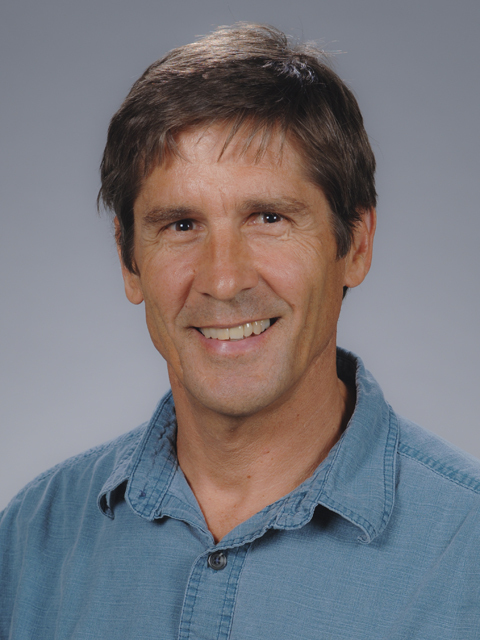 Martin’s work has focused on two systems: carbonate aquifers, where hydrologic and biologic processes interact to dissolve aquifer rocks, and coastal aquifers, where discharging fresh water affects estuarine water quality. Carbonate aquifers provide over 25% of the world’s population with potable water (including most Floridians). Martin’s research in carbonate aquifers has shown that flow through small pore spaces can be critical to dissolution reactions, as opposed to the previous belief that flow in caves dominate reactions. In coastal aquifers, Martin has developed methods for spatial and time-series analyses of the chemical composition of groundwater discharging from coastal aquifers. Martin has worked on coastal aquifers on both of Florida’s coasts, Brazil and the Bahamas. In addition to Florida, he works on carbonate aquifers in Mexico, France, and the Bahamas. Because of his Bahamian work, Martin led the 14th Symposium on the Geology of the Bahamas and other Carbonate Regions held on San Salvador Island, Bahamas. Last year, Martin initiated a new research topic on flow dynamics of the Greenland Ice Sheet. Martin’s interest in Greenland stems from his work on carbonate aquifers, which have surprisingly similar hydrologic characteristics to glaciers, including flow through caves systems. His proposed work will address two major problems in Greenland ice dynamics: how basal fluid pressures link to ice sliding and the effects on ocean chemistry of chemical erosion in exposed and ice-covered watersheds in Greenland.